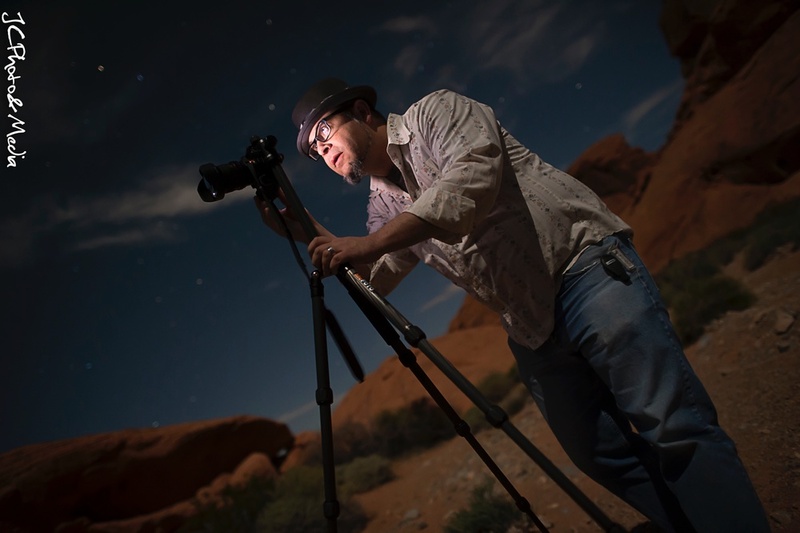 Matt Hill aka the “Nightowl” himself managed to escape quietly into the desert at the Valley of Fire in Nevada with Gabriel Biderman and JC for some night photography during their recent trip to NAB. JC captured this creative portrait by the light of the nearly-full moon, and the rear LCD of Gabe's camera using a Nikon D4S. Gabe, the subject, is sporting a MeFOTO GlobeTrotter with his Fuji X-Pro 1. See more photos from their trip at JCPhotoMedia.com. Carpe Noctem!